Innovate using your data and extracting meaningful information. 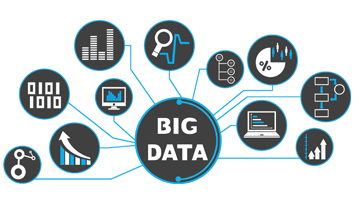 Analyzing Big Data has become a crucial exercise for large organizations. But before analyzing it, managing the data is also important. At Aresourcepool, we have acquired skills and knowledge on how this solution can be implemented effectively ensuring no loss of data for our clients. Our experts offer proved methodologies to manage your data, processes and extract information from that data to make business decisions. Our approach is flexible yet focused which targets the customer issues assertively to dig deep into the data to find relevant information. In-depth analysis is carried to bring out the required charts on a single platform for a detailed review and to put your data to work. We add value to your data through our analytic report and develop the road map for your business growth. Re-charge your business by using your data and making relevant sense of it for your growth.